Several behavioral health treatments have proven useful for patients who feel hopeless and may be considering suicide or self-harm. One tool used by providers is the “hope box”. Therapists suggest that their patients fill a shoe box (or other container) with items that remind them of why their life is worth living, such as supportive letters from loved ones, their favorite music CDs, photos, reminders of their accomplishments, or a list of things they want to do. However, since such a box is awkward to carry, it may not always be handy when a patient needs it most. Using the principles of the original hope box, a smartphone app was created called the “Virtual Hope Box” (VHB). As with its namesake, patients choose items, but the “container” is more portable and more private—and it’s always with them. Patients can also add more-accessible types of content like music files and video files. This webinar is designed to get the word out about Virtual Hope Box to clinicians, and show how smartphone apps can empower and engage patients in their own care. Describe the social paradigm shift to mobile health among younger service members. Articulate the potential benefits of mobile personal technologies as accessories to behavioral health treatment. Examine the value of clinical involvement in patient use of health related smartphone apps. Incorporate key principles behind hope box use in clinical therapy. Nigel E. Bush, Ph.D. and Amanda Stewart, Ph.D.
Joint Base Lewis-McChord, Tacoma, Wash.
**IF YOU ARE A NEW USER, PLEASE BE SURE TO CLICK ON THE "PRE-REGISTRATION QUESTIONNAIRE" LINK AT THE BOTTOM OF THE PAGE, COMPLETE BEFORE REGISTERING FOR THE WEBINAR AND FOLLOW THE REMAINING STEPS BELOW. Once you have completed the "Pre-Registration Questionnaire" you will click on the link titled "This course is a dependency of Integration of a Virtual Hope Box Mobile Application into Clinical Care" which will return you to the course landing page. Scroll down and click on "Take Course", you are now registered for the course. IF YOU HAVE DIFFICULTY REGISTERING, PLEASE CONTACT THE SERVICE DESK AT: 919.668.8916. Audio will NOT be provided via Adobe Connect. For audio please dial: CONUS 888-455-0936; International 773-799-3736; participant pass code: 8366975. Continuing education credit is available from Duke Medicine. You must register on or before October 16, 2014, at 3 p.m. (EDT) to qualify for the receipt of continuing education credit. To qualify for receipt of continuing education credit for applicable webinars, eligible participants must create a profile in the Duke Medicine Learning Management System and register for the event on, or before, the event registration deadline. Complete responses to all pre-registration questions are required to be eligible to receive credit for attending this event. Review guidance on creating a user account and event registration in the Duke Medicine Learning Management System site. 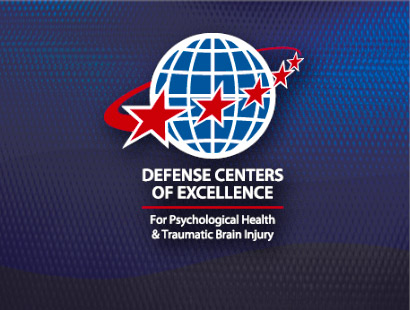 DCoE's awarding of continuing education credit is limited in scope to health care providers who actively provide psychological health and traumatic brain injury care to U.S. active-duty service members, reservists, National Guardsmen, military veterans and/or their families.